New Year’s resolutions are a little like promises, particularly since they are made with the best of intentions and are often broken. But it is always best to make resolutions that you actually intend to follow through on and that, when you do follow through, will somehow improve your life or the lives of those around you. Most of us swear we are going to finally lose weight, eat cleaner, exercise more, spend more time with family or always remember to bring our reusable shopping bags to the grocery store. Some of these resolutions are easier to stick to than others, but they are all worthy pursuits that, at minimum, get us thinking about ways to be healthier, happier and more responsible for the way we affect the world around us. The best resolutions include doable goals that will help us enjoy life more and be the people we want to be. With this in mind, here are nine New Year’s resolutions to help you meet these goals, along with the resources you need to help you stay the course and turn your resolutions into realities. Starting a compost pile is an easy, very doable task, and it is even easier to simply install a compost bin. Composting is an ideal backyard activity that allows you to reduce the amount of waste you send to landfills, while also supplying you with nutrient-rich soil to use in your vegetable garden or flower beds. Using compost around plants reduces the need for fertilizer and helps the soil retain moisture more efficiently, which helps you save money and conserve water. Growing your own food may seem intimidating or time consuming, but it is rather satisfying to grow at least some of your own produce at home. Starting a home vegetable garden allows you to know exactly where your food came from and what was used in the growing process. It also allows you to teach your children where food comes from and an all-important skill for self-sustainability. This does not mean you have to transform your entire backyard into a farm; even a container or two with easy-to-grow tomato or pepper plants is a great place to start. Once you experience the joy of gardening and the convenience of having fresh produce right outside your door, you may find yourself making a resolution to expand your garden next year. We will talk more about conserving water in the next resolution, but that is definitely one of the biggest benefits of replacing your natural grass lawn with an attractive alternative. Removing your conventional lawn and replacing it with artificial turf, native plants, a vegetable garden or a larger patio is also a great way to beautify your yard, make it more functional and improve your outdoor living areas. You can also cut down on allergens in your yard, make it easier to clean up after pets and save time on yard work by avoiding the chores that come with conventional lawns, such as mowing, edging, aerating, weeding and fertilizing. Water conservation should be at the top of all Southern Californians’ list of resolutions, particularly because we can expect to be in a drought for many years to come. This means all of us need to do our part to save water wherever possible, and landscaping is definitely the place to start. You can easily cut down on the amount of water you use to maintain your yard by installing an irrigation system, removing some or all of your natural grass lawn, including more hardscapes in your landscape design, and planting low-maintenance, native species that thrive in our area with little water. There are lots of small changes you can make that will help you conserve water inside your home and in your yard, so this is one resolution that is easy to keep with just a little bit of commitment and effort. If you need more motivation to get you started on this resolution, keep in mind that saving water also means lowering your water bill, which saves you money. Green-minded folks have had this one on their list of resolutions for years now, but we still need to reduce our energy consumption and lower our carbon footprints even more if we want to save our planet for future generations to enjoy. There are lots of ways you can lower your carbon footprint through making changes to your yard. For example, you can reduce your use of fossil fuels by switching to a manual push mower or removing your natural grass lawn and getting rid of your gas lawn mower. Or you could reduce the carbon emissions involved in getting food from the farm to the store to your plate by growing some of your own food. You can significantly reduce your home’s energy usage by installing a clothesline in your side yard or backyard and drying your clothes outdoors. If you have a swimming pool, you can reduce your environmental impact by replacing your current pump with one that is more energy efficient or swapping out your old incandescent light bulbs for LED lights. 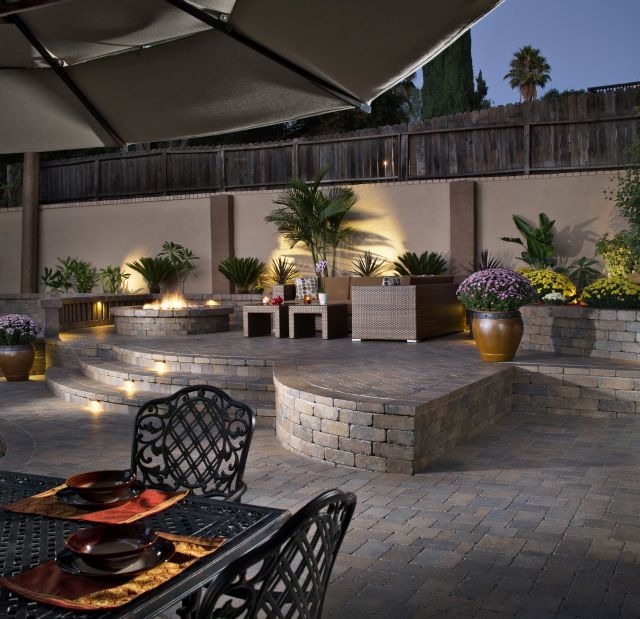 You can save even more energy by opting for solar-powered pathway lights to line your walkways or by installing solar panels to provide the energy for your outdoor living areas. When you are making New Year’s resolutions, it is the perfect time to take on all of those yard care tasks you have been avoiding. 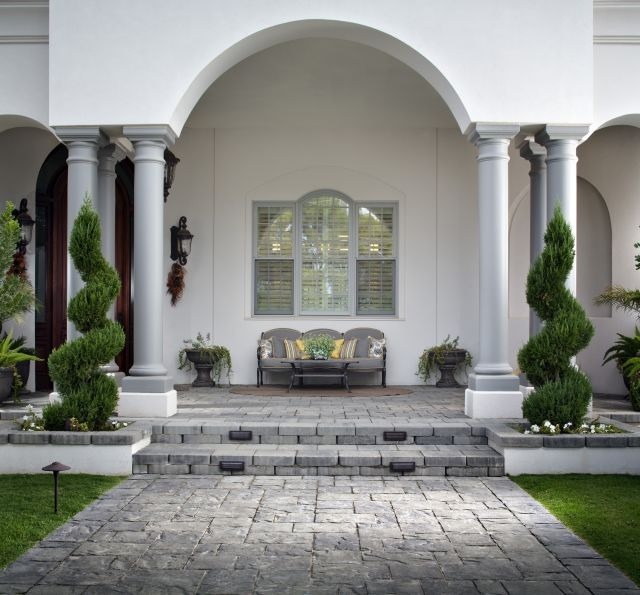 Now is the time to make a nice, long to-do list that includes finally trimming those limbs that are looming over the corner of your house or pruning those shrubs that are encroaching on your walkway. If you have been meaning to finally remove the playground equipment your adult children stopped using years ago or build a dog run for your pets to enjoy when you have guests over, now is the time to make it happen. 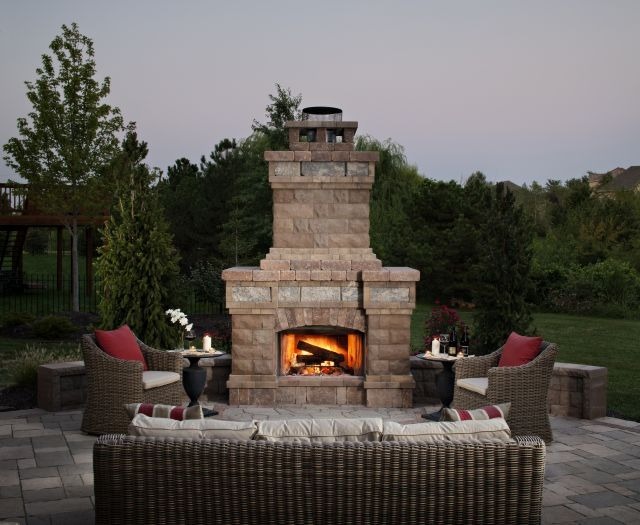 Just like our homes’ interiors need to be organized, our outdoor living spaces are most attractive and most functional when they are organized and uncluttered. 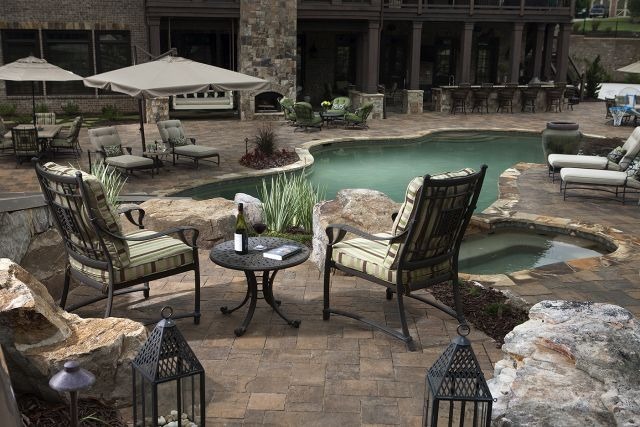 You are far less likely to want to spend time in a cluttered backyard, and you are also less likely to invite friends over if your outdoor entertaining spaces are filled with pool equipment, gardening supplies, yard maintenance tools or your children’s toys. 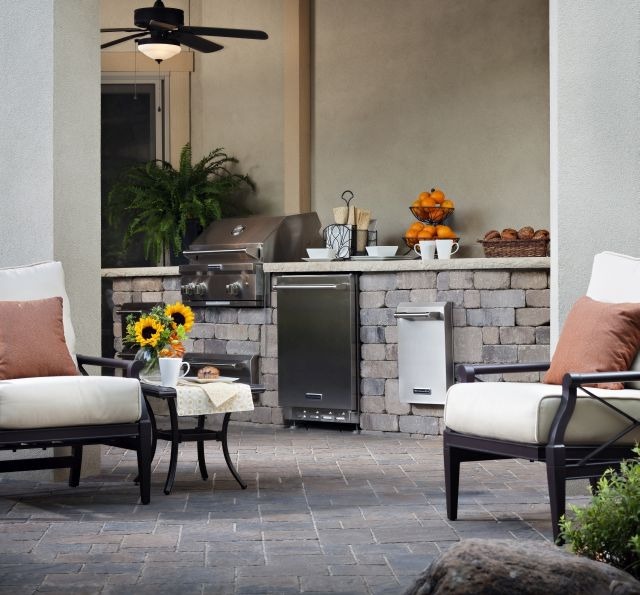 Removing the clutter and getting organized will help you create outdoor living areas where you will actually want to spend time, which can lead to less stress and spending quality time with family and friends — two other things that are surely on your resolution list. This is where you enjoy your morning coffee, where your kids play after school, and where you cuddle with your partner to watch a movie or enjoy a nightcap. 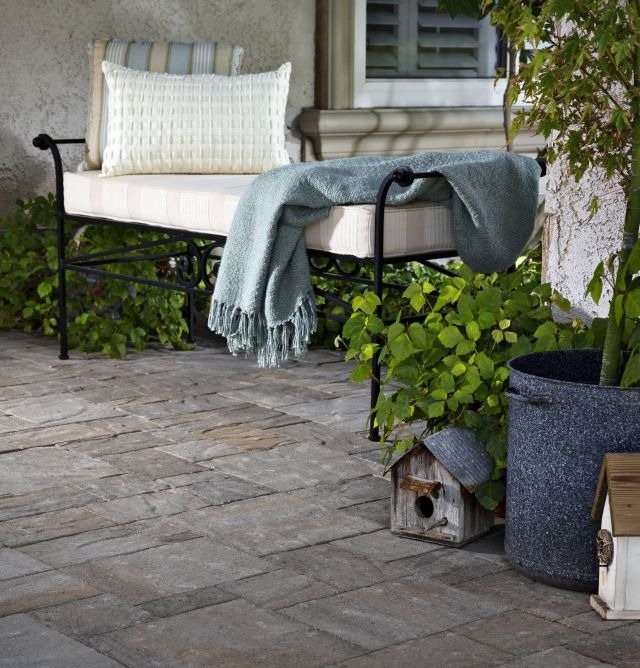 If you are not currently doing these things on your patio, then it must not be as inviting as it should be, which means it definitely needs some improvement. We all want beautiful yards, but our desire to have the most attractive yard on the block can lead to spending more time maintaining our yards and less time enjoying them. This also means less time to spend with our pets, family and friends, which usually leads to more stress and less enjoyment of life. Since enjoying life more is one of the reasons to make New Year’s resolutions in the first place, it seems only fitting to strive for low-maintenance landscaping that allows us to have attractive, inviting outdoor living areas that do not require hours of maintenance each week. You can save time on yard maintenance and more fully enjoy your home’s outdoor spaces by opting for artificial grass, expanding your hardscapes, planting native species or installing an irrigation system. Are you making New Year’s resolutions to improve your home or yard this year?